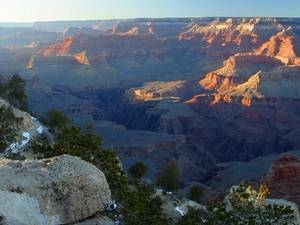 Description: This is a free picture of the Grand Canyon. The photo shows a great view of the major part of the canyon with the sun shining on the far portion of the photo. The layers of red and gray rock can be clearly seen. Image courtesy of pdphoto.org for public use.